Delta Controls hardware is Native BACnet. Native BACnet means that the database objects in the controller can be seen by other BACnet systems and that data can be exchanged between other BACnet devices without the need for a Gateway (separate piece of hardware that maps data between Communication Protocols). Delta's hardware is easily added to other vendor’s BACnet architectures because we have implemented many of the BACnet standards optional properties and have rendered them writeable. Delta Controls System Managers (DSM), System Controllers (DSC) and Application Controllers (DAC), all support peer-to-peer data communication. System Managers (DSM) - These devices are used to route network traffic. 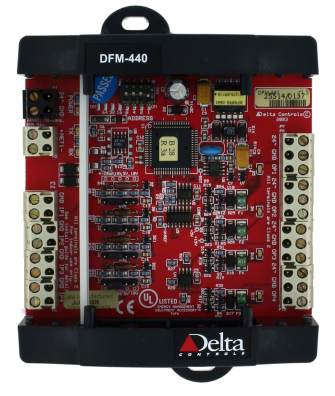 Delta Controls System Managers do not have I/O on board, and are fully programmable. System Controllers (DSC) - are capable of operating in a stand-alone manner. 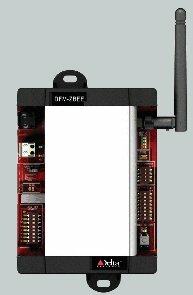 They have I/O on-board,can support a BACnet MS/TP subnet and are fully programmable. The enteliBUSTM Controller (eBCON) is a fully programmable native BACnet® Building Controller. The Controller supports multiple communications methods including, as standard, BACnet/IP, BACnet® over Ethernet, BACnet MS/TP and Delta LINKnet. The DNT is a range of field-selectable, configurable, fixed algorithm controllers. They come with a fixed object database and you can field program or configure them to suit the required application. The DNS range of products are networked temperature and humidity sensors without I/O built into them. WNS-TxxxB is a battery powered, wireless temperature and humidity sensor, with setpoint adjustment and an override pushbutton that transmits sensor data through an enteliMESH wireless network. The DFM series of products is designed to reside on Delta Controls LINKnet network and provide remote I/O for the Application controllers.